Seeds or plays on table; you may download The Art of Diplomacy. 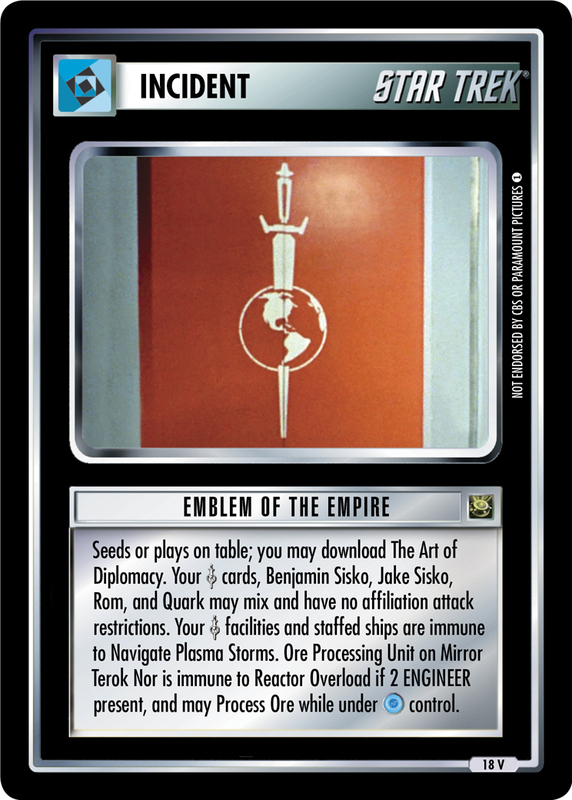 Your cards, Benjamin Sisko, Jake Sisko, Rom, and Quark may mix and have no affiliation attack restrictions. Your facilities and staffed ships are immune to Navigate Plasma Storms. Ore Processing Unit on Mirror Terok Nor is immune to Reactor Overload if 2 ENGINEER present, and may Process Ore while under control.